The rumors have been heard before: “This is the year our terrible Internet is fixed.” However, this rumor is one that is finally coming true. Right now the school is in the middle of installing a new wireless system and raising money to increase bandwidth. The system change is a combination of two separate but similar plans. The first plan, which is fully underway, is a new Wi-Fi system. 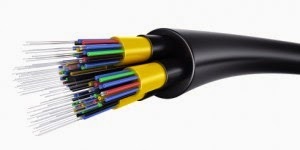 This will establish a more secure connection to the Internet in the building and allow a greater number of devices to be connected. The second plan involves bringing a fiber optic cable directly to the school. This will increase Internet speed dramatically. For this part of the plan, a sum of $100,000 must be raised according to the development office. The new WiFi system, called Meraki, a product of Cisco, will have 16 access points, and will provide a more reliable connection with broader coverage and is cloud hosted, instead of the 10 access points that the current Ruckus system provides using a controller. There will be three levels of access points. The higher the number, the more devices it can handle. An area of the school which sees higher amounts of traffic will receive a more powerful access point. If there are not enough to fulfill the needs of the school, more can be ordered. This also means that a greater number of devices can be connected. “I am going to be a lot more willing to connect devices like iPods to the new system,” said Dave Cormier who coordinates technology at Mount Michael. Currently, Infinet, an I.T. consulting firm that the school uses to support technology on campus, is working on setting security parameters on the system. When this step is finished, the system will be beta tested by a small number of faculty and students. Cormier hopes this will weed out any issues, before it is implemented across the school. The fiber optic cable, which hinges on the community raising a sum of $100,000 dollars, has not been purchased yet.However, according to Kim Volpone, director of development, the giving challenge has reached 41 percent of its goal. The giving challenge gained momentum when alumnus Zach Nelson (‘79) and his wife Elizabeth Nelson donated $100,000 and challenged others to donate to match that amount for the fiber optic cable. Money from this giving challenge will also go towards resurfacing the track that surrounds the Nate LaFave Memorial Field. “Construction is expected to begin early this spring on the resurfacing,” Volpone said.